...The Kingdoms of this world are become the Kingdoms of our Lord.... Amen. 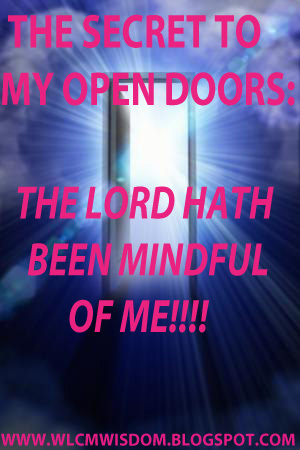 (Rev.11:15 KJV): Secret to My Open Doors: The LORD hath been Mindful of Me!!!! Beloved, I welcome you all to another Great Appointment with God! I will also use this blessed moment to say a very big thank you to our Ministers(Gloria, Chincobee, BMF, Miriam, Alabekee, Carina, Precious and Temitope,). who offer themselves willingly for God to use during our 2015 Bloggers' Conference Tagged: Walking into My Divine Inheritance! Bless ye the Lord. My special thanks goes to all our Treasured Readers. God will bless you all immensely for making 2015 Bloggers' Conference tagged: Walking into My Divine Inheritance, a huge success! 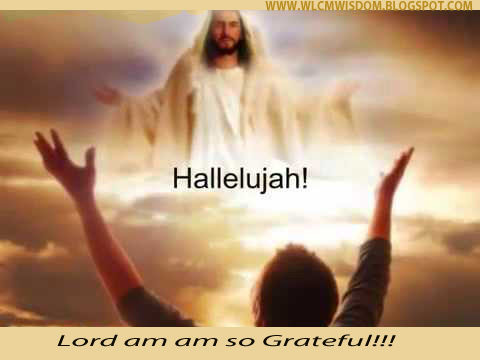 Once again thank you for honouring God in this Blog! I sincerely believe you are planning on sowing a seed in the life of a genuine man of God, that's if you've not done it already. By God's Divine Arrangement, I have done that on behalf of all my Treasured Readers and Ministers. God in His infinite Mercies will be mindful of His Covenant because our Visitation is Mandatory and we are due for Divine Honour and Dignity! If you believe that you are Possessing your Inheritance, shout Hallelujah! Beloved, I also want to use this Moment to encourage you to be in Total obedience to the Word of God. I know thy works, behold, I have set before thee an open door, and no man can shut it; for thou has a little strength, and hast kept my word, and has not denied my name. Beloved, never you compromise your faith no matter what you are going through. you all have part to play in keeping your open doors open. Stop making it look as if God is not mindful of His Covenant. God is not a man that He can lie, neither a son of man that He can repent. His promises are Yea and Amen! when you lack the strength to maintain these doors, if only you can continue to obey the Lord and refuse to go back to the world, the Lord will supply the strength you need to continue, and will keep your doors opened. 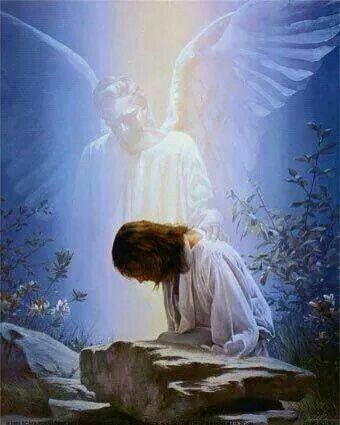 Our redeemer, at His most trying moment, when the Lord could see His ordeal immediately ahead of Him while praying in Gethsemane, He was at a crossroad. He was torn in-between obeying the voice of His father and beating a retreat, He prayed so hard and lost so much strength, was in agony and depressed, yet He still decided to please His Father. Beloved, Total Obedience Releases Strength! Beloved are you weak? Do you have little strength? Fear not! Just obey the lord totally and keep the Faith in Christ and Strength will Come. Put a smile in the life of a genuine servant of God by sowing a seed, if you have not done that, please don't let this pass you by. Sow a seed that will make a servant of God look at you and then begin to groan in the spirit. There was one weak but holy and obedient church, they never lack the strength to perform because their obedience Generate Strength. Am talking about the church in Philadelpha in Revelation 3:8. Remain Blessed Nwamaka, may your faith never fails you in Jesus' name, Amen! I agree with you. There is nothing like partial obedience, it has to be total. May God help us! dear Favour, there is nothing like partial obedience. Partial obedience is disobedience, and disobedience is a sin. Receive Grace to obey Him totally in Jesus' name, Amen! If you genuinely love God you will naturally trust HIM. We pray for grace to obey completely in Jesus name. Today is my birthday o, Lucy. Happy birthday Dear,I'll be with you shortly! Happy Birthday dear. May God teach you to number your days. Amen to our beloved Friend, Ayandola. Total obedience releases strength. So true. God bless you, Lucy. hello friend, how are you doing? I pray for the Lord's grace. He's mighty and he will never fail you. Hello Lucy! How are you? I've posted the new episode. Hello Minister Carina! Thanks for asking, It is well.